A bit over a year ago, we held one of our Annual Design contests on my Twitch stream community. 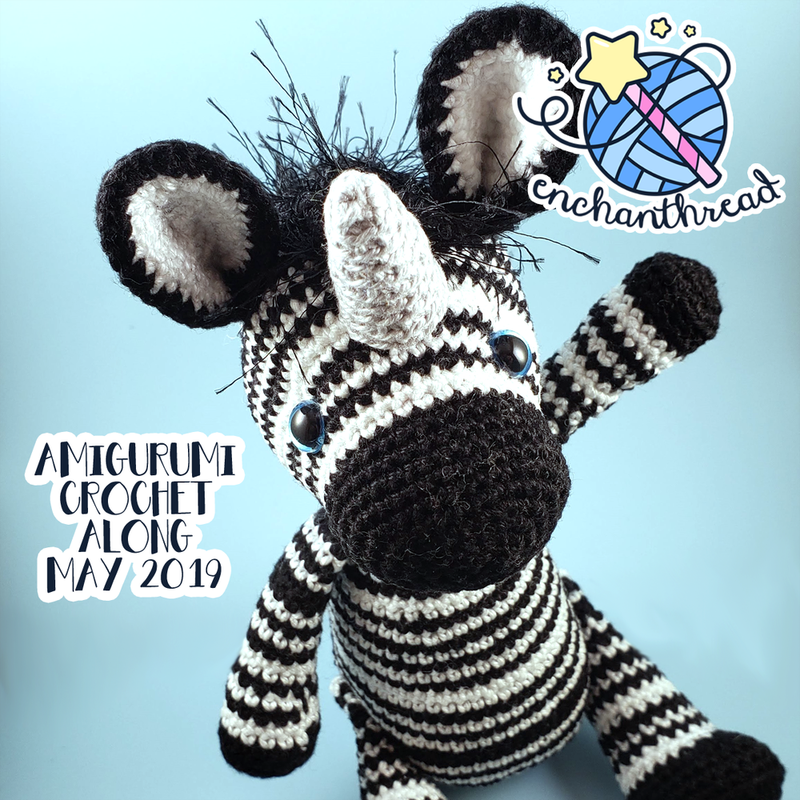 I invited artists from any medium to create a design based on the theme “Luck.” The community selected their favorite and I promised to crochet the winning design and release the pattern for free on my website. Took me long enough but here we are! 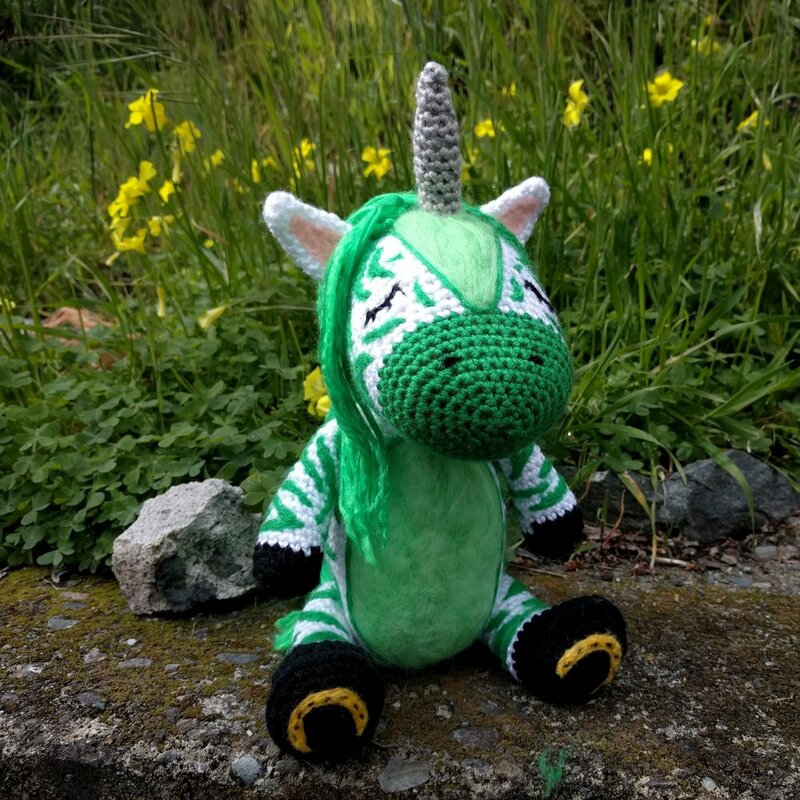 The winning design was an adorable St. Patrick’s Day themed Zebra Unicorn and the original one I made had needle-felted stripes and details. I have since adapted the pattern to be fully crocheted and perfected some of the pieces as well! This pattern has lots of options! You can make a zebra, a unicorn, a horse or some mix of the three! To celebrate, we’re also hosting our very first crochet along with the same pattern and we’d LOVE it if you’d join us! 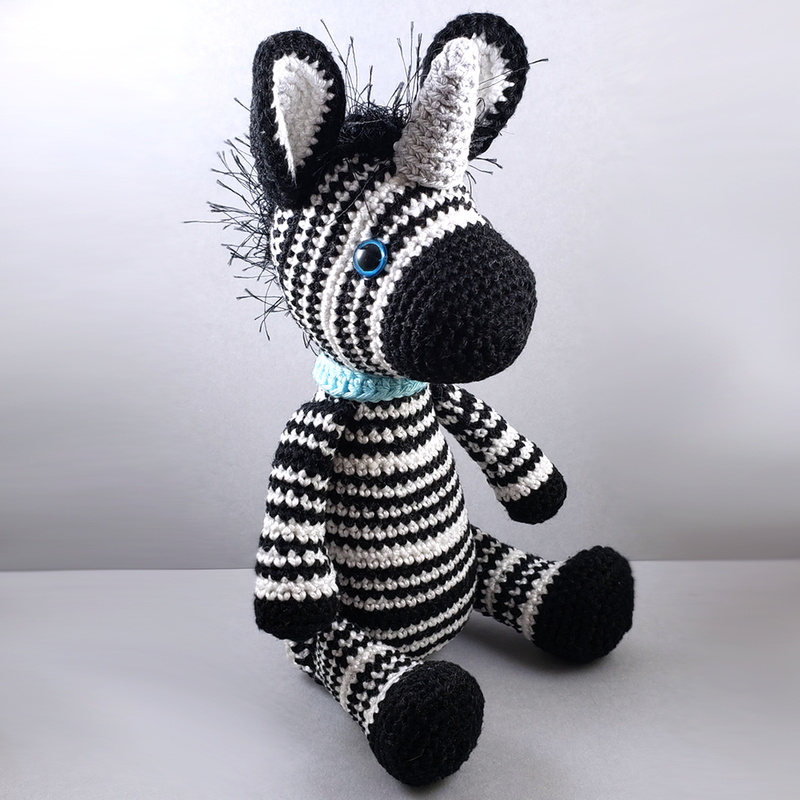 It’s completely free & those who complete their zebra before the end of May 2019 will be entered in a raffle to win some really cool prizes (zebra-themed & yarny goodness). I’ll also do a social media giveaway promotion when it gets a bit closer to May, so keep an eye out for that! In the meantime, make sure you sign up! I am already looking forward to seeing what creativity this pattern inspires come May 1st!